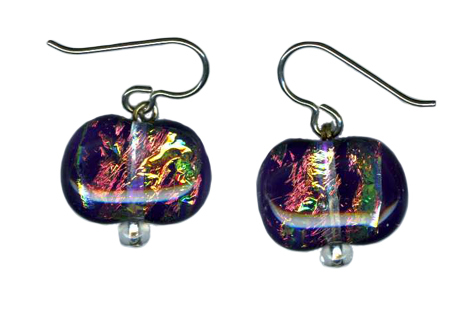 We are pleased to offer earrings showcasing the dichroic glass artwork of Ronda Terry. 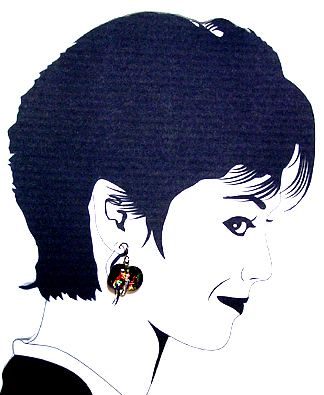 These handcrafted beads are unique and one of a kind. 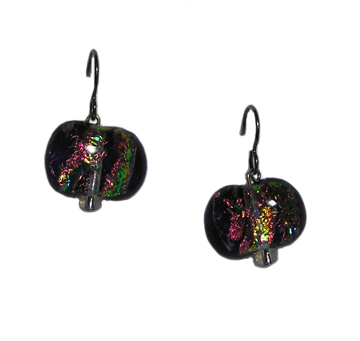 Because dichroic glass exhibits subtle color shifts with changing light and position, the pictures do not do justice to the true beauty of these beads.